Dr. Vacca is President of Kinetic River Corp., a Silicon Valley biomedical instrumentation company focused on cell analysis and in vitro diagnostics. As a consultant, Dr. Vacca specializes in flow cytometry, hematology analysis, instrumentation design, and optics. As expert witness, he has produced a number of reports and has testimony experience in the fields of flow cytometry, cell sorting, and particle separation. Activities at Kinetic River include conceiving, designing, developing, building and selling new flow cytometry instrumentation; conducting design reviews, technology and IP assessments, and technical due diligence; and delivering training seminars in flow cytometry and biophotonics. Dr. Vacca also serves as Chief Science Officer of BeamWise, Inc., an optical system design automation software company. Dr. Vacca has filed more than 75 patent applications, has been granted 43 US and international patents, and has 29 patents pending. Optics and Photonics, Biophotonics, Biophotonic Instrumentation, Bioinstrumentation, Biomedical Devices, Optical Systems; Optical System Design, Instrumentation Design, Cell Analyzers, Cytometry, Light Scattering, Fluorescence, Fluorescence Assays, Fluorescence Bioassays, Fluorescence-Activated Cell Sorting, Biosensors, Microfluidics, In Vitro Diagnostics. Dr. Vacca founded and is President of Kinetic River Corp., a Silicon Valley biomedical instrumentation company focused on cell analysis and in vitro diagnostics. 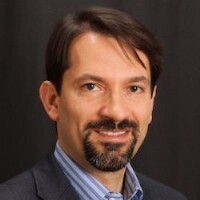 Dr. Vacca has been issued 43 patents, is Senior Member of both OSA and SPIE, is a reviewer for ISAC, and has been an invited speaker, moderator, panel member, mentor, workshop chair, and conference chair at meetings on cytometry, optics, medical devices, and innovation. He has written a number of articles for both peer-reviewed journals and trade magazines, as well as a book chapter on flow cytometry. He also co-founded and serves as Chief Science Officer of BeamWise, Inc., an optical system design automation software company. He received a Physics BA and MA from Harvard University and an Applied Physics PhD from Stanford University. in Flow Cytometry,” in: T. Hawley, R. Hawley (eds. ), Flow Cytometry Protocols. Methods in Molecular Biology, vol.